Congratulations are in order for Windward Senior Samantha Spector, who recently placed third in her division at the 49th Annual Monterey Next Generation Jazz Festival! 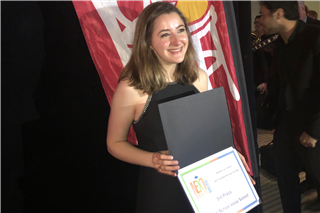 As one of over 1300 of the nation's top student musicians competing over a three-day period, Samantha took home the third place prize in the High School Vocalist Soloist Division. Fantastic job, Samantha!